"Comments – Dr. Heresi is the first dentist that I have had in years to assure from the beginning to end, to my satisfaction. All of my work was done timely. If I had any problems, it was addressed with answers of resolve. I highly recommend his services." Thank you so much for being able to see me almost immediately on Thursday, you and your staff made my day and I am truly grateful! Giuiliana, as usual, was wonderful in being able to fit me in. Everyone always makes me relax with their smiles and comforting comments, and if needed pillows! You, especially, make me feel that I am in competent hands and I know that you will always do you best for my family. Everyone in the office exhibits caring and professionalism…a good combination. I am so glad that you are our dentist and will tell all my friends about your wonderful practice (I always do already)"
"Mary is the best hygienist anyone can ask for! (she told me if I didn’t say she would hurt me next time I come in!) LOL I think this is a great dental office, really have no ideas, at the moments for change." "Keep up the good work. Thank you for your service." "I am a very nervous dental patient, and you help to ca me a lot. Thank You! The back massage in the chair I was in on Thursday July 2 was amazing. KEEP IT! Everyone that I have met there are very nice and knowledgeable of what they are doing. Dr. Heresi has my trust and that means a lot to me. THANK YOU. I will recommend you to other. Already have." "Everyone was friendly and helpful. Excellent dental services!" "Mary and Samantha are a pleasure to deal with"
"Your staff is great. Even the receptionist who checked me out whrn I was leaving was so nice. Thanks for a nice dental appointment." "Everyone is always professional and courteous." "Everything was perfect. Thank you guys!" "Came in with a toothache, source found to be a crack in filing. Repaired filling. Thanks"
"Dr. Heresi and his staff are nice group of people. My first visit was very pleasant and I will be going back. They went out of their way to make sure I was comfortable while I was there. That means a lot to me." 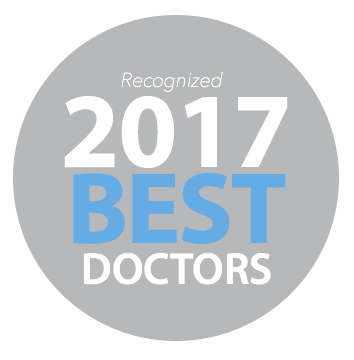 "Dr. Heresi and his staff are thoughtful and capable professionals. They offer a discount for cash. I could not be more pleased with the care I and members of my extended family have received at this office"
"Meeting my needs in a timely manner is appreciated." "Highly recommended. Dr. Heresi and his staff are great. Very caring about your comfort level. Their office is run very efficiently and on time with their patient appointment." "Very professional. The staff is great." "The Heresi Dental Care is by far the best dental office I have been to. The staff us very courteous and kid, very knowledgeable about dental problems and always there for any help you need with your oral health." "I was very pleased with the concern you had regarding my week long pain and was very grateful for the next day appointment with an Endodontist to correct my problem." "Great office. Everyone in the office was very helpful and caring." "I couldn’t be more satisfied and happy patient. Thank you so very much for all you have done for me." "My 6-month check up was very through and pleasant. After my technician finished cleaning my teeth Dr. Heresi went over my x-rays and checked my teeth himself. He checked out a gum problem I was concerned about and explained it to my satisfaction." Comments – The dental hygienist (ms) was awesome! She worked really hard cleaning my teeth and Dr. Heresi was great, would definitely recommend him!"